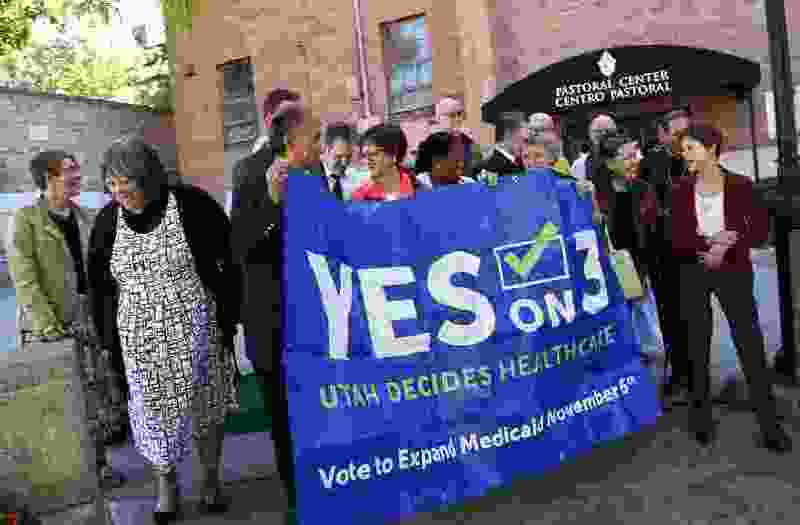 (Francisco Kjolseth | The Salt Lake Tribune) Utah faith leaders gather at the Cathedral of the Madeleine in Salt Lake City on Wed. Oct. 3, 2018, to make a joint statement in support of Prop 3, which would expand Medicaid in Utah. An overlooked factor in the debate over Proposition 3 is the impact that an expansion of Utah’s Medicaid program would have on the state’s diabetes epidemic. Over 10 percent of adult Utahans have diabetes, which can lead to kidney disease, heart disease, blindness and death. Additionally, about one-third have prediabetes, which means they have higher than normal blood glucose levels and higher risk for developing diabetes unless they alter their diet or lifestyle or address this risk using medication. How would expanding access to Medicaid, the federal-state health program for the poor, make a difference? Based on research my colleagues and I conducted, many more people who need medications would be able to access them for little or no cost. In a study recently published in Health Affairs, we looked at what happened in the 30 states that accepted federal funds and expanded their Medicaid programs in 2014 and 2015, compared with the states that did not expand access. In expansion states, the annual Medicaid prescriptions for insulin and metformin - the two most common types of diabetes medications - increased by 40 percent after Medicaid eligibility expansions kicked in. Importantly, this came at a time when insulin prices were soaring. Nationwide, insulin spending per patient tripled to $736 between 2002 and 2013. From 2014 onward, low-income adults in states that expanded Medicaid were protected from these costs. It is likely that many people with diabetes in Utah skip medications due to affordability issues, since diabetes is more prevalent among people with low income, and the threat of high out of pocket spending can keep diabetes patients from taking their medications. Newer diabetes medications have significant health benefits and lower risk of side effects, but they are also almost twice as expensive as older formulas. Insurance plays an important role in accessing the new medicines as well as old formulas. We found that where Medicaid was expanded, the use of diabetes medications purchased with Medicaid insurance steadily increased over time, up 33 percent by the end of 2014 and up 49 percent by the end of 2015. Under Proposition 3, up to 150,000 Utahans might gain coverage. Cost is an issue, but for the most part it is paid for by the federal government. States that expand Medicaid receive at least 90 percent federal funding. To pay Utah’s share of the expansion, which has been estimated as $90 million a year, Proposition 3 would increase the state sales tax on non-food items to 4.85 percent from the current 4.7 percent. The cost should be weighed against the health benefits that flow from keeping diabetes in check. Reducing the costs people pay out-of-pocket for diabetes medications can reduce diabetes-related health care costs in the long-run due to fewer hospitalizations. In addition to health care costs, uncontrolled diabetes can take a toll on the economy. The American Diabetes Association estimates that the total economic costs of diabetes in 2017 in the U.S. included $90 billion in reduced productivity at work and at home. The war against diabetes is fought on many fronts. Utah has a chance to strike a major blow on behalf of its population. Prop 3 would provide Utah with additional resources to fight one of the most widespread diseases of our time. 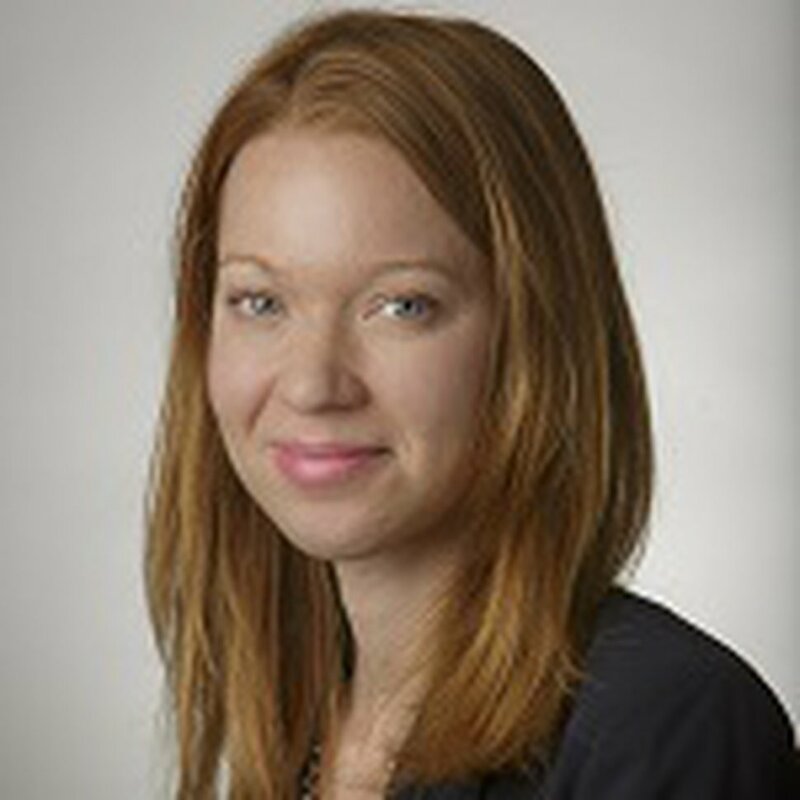 Rebecca Myerson is assistant professor of pharmaceutical and health economics at the University of Southern California School of Pharmacy and a researcher at USC’s Leonard D. Schaeffer Center for Health Policy & Economics.